Today on International Yoga Day, Senior Express wishes everyone a very healthy and fit life ahead. 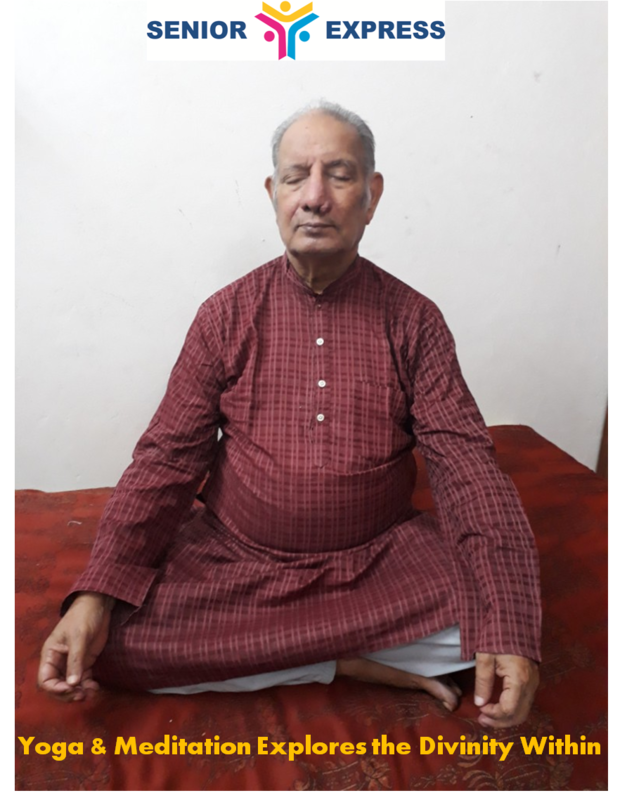 On this occasion, we would like to thank our active contributor Mr. Amrendra Narayan Pandey, a 72+ Retired Senior Nuclear Scientist from Bhabha Atomic Research Centre, who is actively running a project in Hyderabad, called “Spiritual Awareness Programme” (SAP) through which he is creating awareness on yogic practices, its importance in healthy living and its utility in the promotion of welfare of society. Mr. Pandey strongly believes that “Yoga and Meditation Explores the Divinity Within”. Sharing his recent photograph while doing yoga, which was featured in our 2018 calendar.